While the shutdown on independent media intensifies in Turkey, journalists who have managed to flee the country are continuing to speak out against the government crackdown. Since the attempted coup in July, the government has ordered more than a hundred news outlets to close including 29 publishing houses, 16 TV channels, three news agencies, 45 newspapers, 23 radio stations and 15 magazines. 48 journalists have so far been arrested. Abdullah Bozkurt was the Bureau-in Chief for Today's Zaman, an English daily, in Ankara. The newspaper was seized by the government on the 4th of March as part of the escalating crackdown on the free and independent press in Turkey. Bozkurt was dismissed from his position after the government takeover. He went on to establish his own news service but that too was shut down. Fearing for his life and imprisonment in Turkey, Bozkurt moved to Europe in late July to live in self-exile. He also managed to get his wife and 3 children out of Turkey to join him. 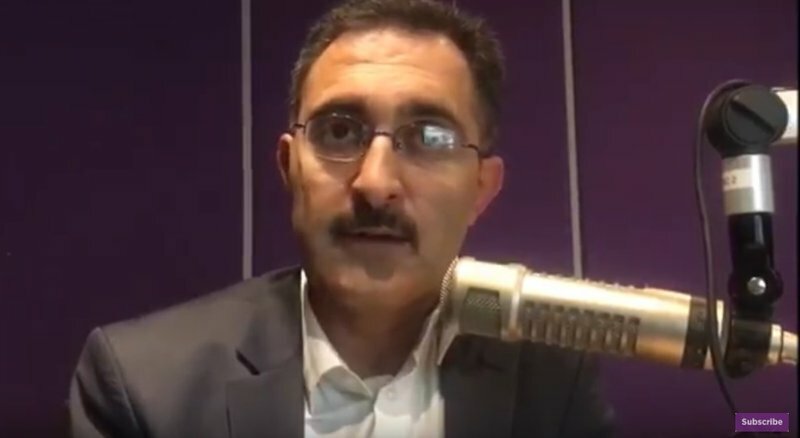 Jacaranda FM News Journalist Slindelo Masikane sat down with Bozkurt, who is currently in South Africa to raise awareness on the issues facing the media in Turkey. Bozkurt says he never imagined he would be treated like a criminal in his own country. "I feel outraged. All I did was write articles. If I did something wrong I would accept the consequences and pay the price. But in our case we have done nothing wrong but report wrong doings in government," he said. Bozkurt says government is justifying the crackdown through trumped-up charges of espionage and treason against journalists. "They abuse anti-terror legislation. If you expose wrong doings in government you are charged but they never justify it by the constitution," explains Bozkurt. Bozkurt says there is not much hope for safeguarding media freedom in Turkey since the legislature, parliament and the judiciary are all controlled by the government. He says the normal democratic checks and balances are non-existent. Bozkurt says South Africans need to be aware of the early warning signs when it comes to the erosion of press freedom. Bozkurt says it’s the media's job is to ask questions, but no government wants to be told that it’s doing a bad job. "No government likes criticism, everyone wants praise but our job is to be critical, to investigate and to hold them accountable on behalf of the public," he said. Will Bozkurt ever return home? "I will. I'm certain of that, it's a matter of when. This system is just not sustainable. If you keep cracking down on all the critical voices then it will rupture, even to the point of a civil war," he warns.